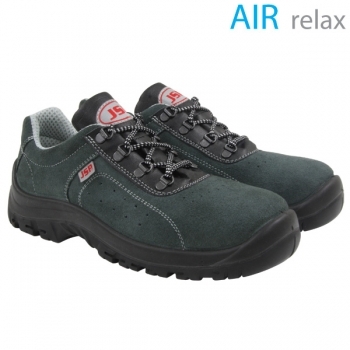 Mid range safety boot with Classic steel toe cap and midsole, incorporates Air Relax® footbed made from anti-mycotic material to aid evaporation of humidity. Full grain leather upper with PU sole. Conforms to EN 20345.